Over 18s can join our Riding Club and get 15% off all their bookings! We also have some exclusive members-only events through the year, as well as advanced courses with Fay. Membership is £49 for a year. Sunday mornings are never quiet at Anglesey Riding Centre! Kids from 7 to 14 can really get their hands dirty at our weekly Sunday Equestrians sessions. 45 minutes of riding is included in the morning, with the rest of the time used to learn stable management skills and generally get to know our ponies. The club operates a reward scheme where members can earn points towards prizes such as gloves, grooming kit, hoodies etc. Anyone is welcome, but they must be able to confidently do a rising-trot without holding the saddle. There’s no need to come regularly, and we’re happy to welcome holidaymakers for one-off visits. We also run a Centre Branch Pony Club, a version of the pony club for those who don’t own their own pony. It’s growing all the time and we’re always happy to welcome new members. This is a more structured club where members can work towards badges and qualifications which will hold them in good stead for the future. Again, we do ask that potential new recruits are able to do a rising-trot without holding the saddle before joining. Sessions are 1hr long and run weekly throughout the year, we alternate between riding and stable management so that members get a broad understanding of not only how to ride a pony, but also how to look after it! 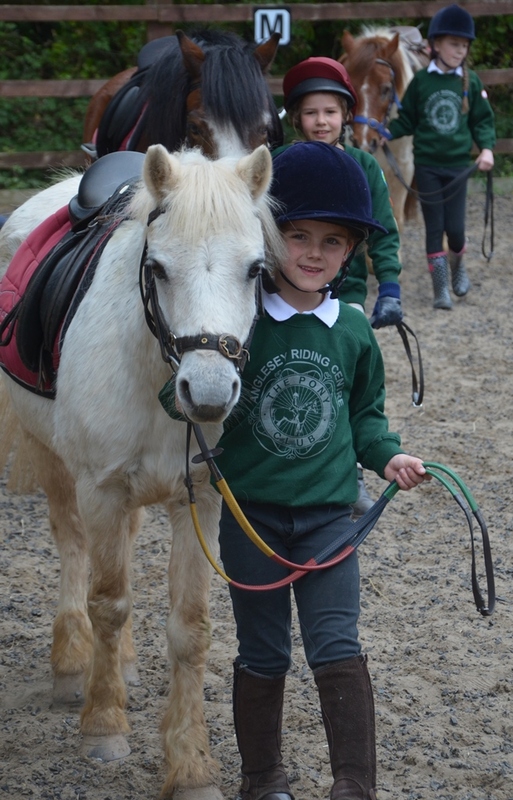 Cost for each session is £13.50, there is also an annual membership of £27 payable to The Pony Club UK. We also run activity days for members during holiday times. More details about activities are available on the Pony Club website www.pcuk.org . Our “Unicorns” groups aren’t exactly a club, but we thought we’d include them here. They are half hour riding sessions which run Saturday and Sunday mornings for younger kids (4-10) who are just starting out, or looking to improve their riding. There’s no membership fee, it’s just £11.50 per session. 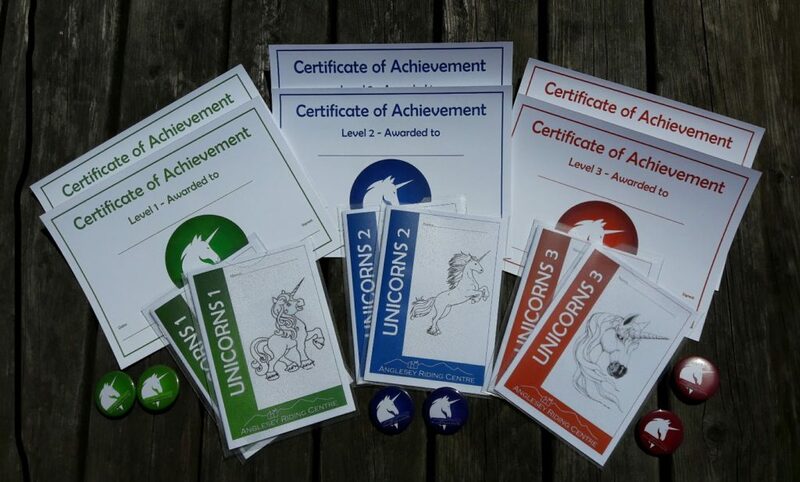 There are 4 levels of Unicorns, with beginners starting at level one and working their way up. Each level has it’s own workbook and badge!